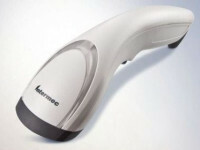 The Intermec SR30 handheld scanner meets the needs of point of service applications in retail, healthcare, office and light industrial settings. Lightweight, easy to hold, and evenly weighted, the SR30 sits comfortably in the user’s hand to eliminate fatigue. 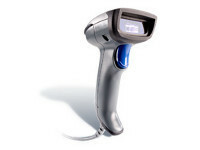 Its aggressive scan rate and patented Intermec Vista technology enables users to quickly scan and process items, even if the barcode has been damaged or the print resolution is less than perfect.Auto sensing cables, a standard feature of the SR30, enable the user to easily connect the scanner to the host and start scanning immediately. Not only does this streamline installation, it also facilitates quick change of interface cables when needs change. Point of service applications often utilize software that listens for specific commands from peripheral devices. This protocol is known as UPOS (unified JPOS and OPOS) or Microsoft® WePOS. 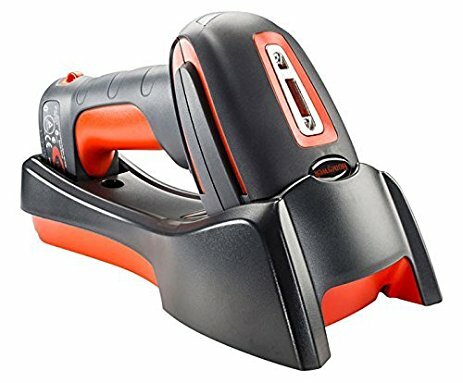 TheSR30 supports both UPOS and WePOS protocols, enabling the scanner to communicate seamlessly with the host terminal and point of service software.The SR30 includes Intermec EasySet™ software setup tool for easy configuration and personalization. 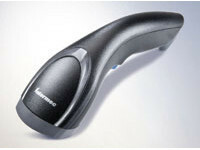 The user can quickly select beeper tones and volumes, good read and error read responses, and many other preferences. In addition, the SR30 can be configured for data editing. 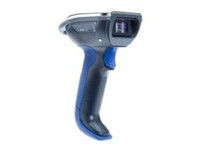 This enables the user to scan barcode data, edit it via the scanner, and only transmit desired output to the host.Accessories available for the SR30 scanner include desktop stand, wall mount holder, and hands free stand.Snappy and accurate, the Intermec SR30 handheld scanner streamlines point of service and light industrial data capture applications. Desktop stand, wall mount holder, hands free stand, and EasySet™ configuration software utility.